Everyone has been to a kid’s birthday party with one of those inflatable bounce houses. It always looks like so much fun for the little ones. But what if you could have that kind of fun as an adult at the most impressive inflatable amusement park you’ve ever seen? You can when you attend the Big Bounce. This incredible inflatable experience is headed to Nashville, Tennessee. If you live in the area, you’re going to want to pick up your tickets as soon as possible. It’s all going down on Friday, May 3, through Sunday, May 5, at the Fairgrounds Nashville. This event is already shaping up to be popular, so you’ll want to buy your tickets as soon as you can. Tickets largely depend on which age group you’re signing up for. Since this event is open to people of all ages, you’ll want to choose the age range that makes the most sense for you and your family. You’ll probably want to choose an all-access pass, so you get to have fun at all the attractions that will be there. The adults-only area is for people ages 16 and up, and kids and prohibited. This is just so the little ones don’t get hurt! It costs $28. Older kids ages 15 and younger will pay $25, kids 7 and under will pay $24, and toddlers 3 years of age and younger will get in for $16. Parents can join their kids wherever they choose. If you only want to go to the bounce house, you can buy tickets for that, too. Sure, the huge bounce house is going to be a ton of fun. But if you want to get the whole experience, you’ll have to do the obstacle course, as well. 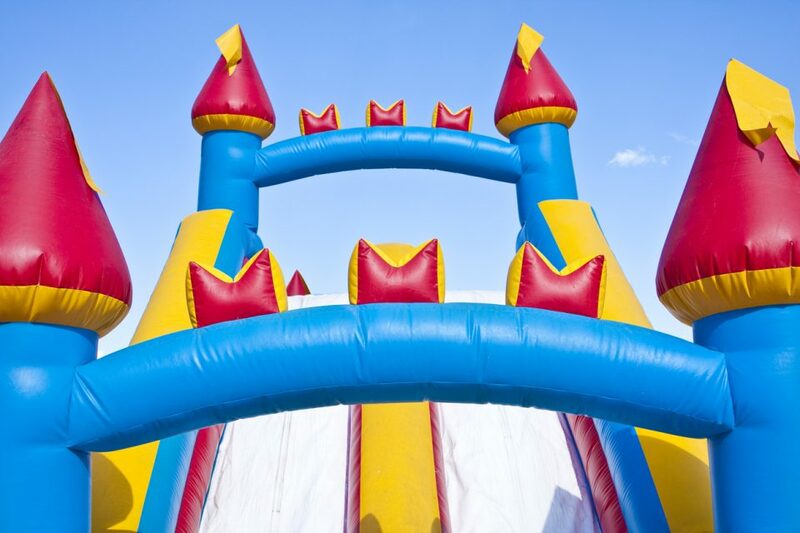 This inflatable obstacle course is definitely challenging, but you’re going to have a fun time trying to beat your friends. And you can’t miss out on AirSPACE! This outer-spaced-themed inflatable attraction has a moon crater ball pit, a maze, aliens, spaceships, and more. Bouncers of all ages are going to love hanging out in this alternate universe. You’re going to get tired after bouncing around all day. When it’s time to go home, you just want to get in a comfortable car and get home easily. If you’re looking for that perfect ride, come to our dealership here at Wilson County Hyundai in Lebanon, Tennessee, to shop for your next vehicle.